Since this is still ostensibly a personal finance blog, I figured I'd go into the financial details of having a feeding tube. There are more than you might think! All but the last two items are provided by our home medical equipment company and covered by our insurance. We don't need much gauze or tape, so that's a negligible expense. The syringes that are covered are not the best , so I've spent money out of pocket on syringes. There's a certain kind of syringe that lasts for a really long time and is easy to push, but it's been discontinued so finding them is difficult and pricey. I found it to be worth the trouble of buying several, and hopefully they will last until they are manufactured again or until we don't have a tube any longer. Luckily, WIC picked up the cost of the formula through Baby M's state health benefits (she is considered disabled), but that wouldn't have lasted forever. And $700 of formula per month was not in our budget. But I discovered another option, called a "blenderized diet". 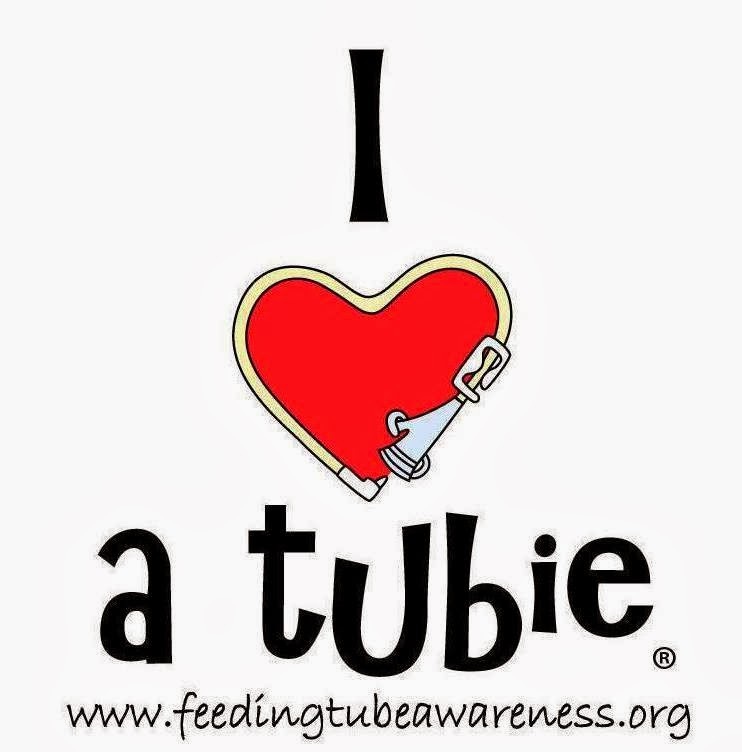 Medical situation allowing, many tubies simply eat real food, blended to a smooth puree and plunged in with a syringe (it's too thick for the pump - see my willingness to pay for good syringes?!). Working with our nutritionist and pediatrician, we have transitioned Baby M to a blenderized diet and it's been AWESOME. Her diet right now is based on jarred baby food as we get her body used to digesting and test her for allergies, just as you would with an orally fed baby. We use two jars of baby food veggies, 1-2 jars of baby food fruit, baby food cereal, 1 jar of baby food meat, and milk and oil for added fat, protein, and calories. This is an expensive version of the blended diet - as any mom knows, baby food is kind of expensive for what you get, but it's easy to digest, unlikely to contain allergens, and smooth enough to go through the feeding tube. As Baby M's body gets more used to a real foods diet, we will slowly transition to all table foods. For this purpose, we got a super fancy blender - a Vitamix, which sells new for almost $500. !!!!! It's an amazing appliance (you can make hot soup in it from cold ingredients!) but I don't know that I'd pay $500 for one. Luckily, Vitamix (and Blendtec) offer discounts on refurbished machines to tube-feeding families - our doctor sent a letter of medical need and we got a machine in perfect working order with a 7-year warranty for just $150. We've used it at least once a day since we got it, too, so we're going to get our money's worth. If you think about it, I am making some "bad" personal finance decisions with this blenderized diet switch. BUT. If my kid ate orally, no one would be subsidizing that, so I'm just getting things closer to normal! I've been stocking up on baby food when it goes on sale, for around 12 cents per ounce. This makes each day's feeding around $2.10, not including the milk or oil. When it's not on sale, it's around 17 cents per ounce, still only around $3.00 plus milk and oil. When we switch to table food it will be even cheaper. Consider, how much does the following cost? Probably not even two bucks! And no matter what, it's cheaper than $700 a month of formula. Even with the additional costs, I think that this diet will be a huge help to Baby M's health in the long run. Also, I'm learning a lot about nutrition as I do it, so our family diet overall will improve, and we'll still have a fancy blender at the very end of it!